Wait, did he just say…….ACID water?! Yep. Sure did. It’s amazing. And I’m not afraid to say it. It’s probably the biggest discovery I’ve made in the past few years and I use it all day, every day, it’s great! I use it on my skin, to disinfect my kitchen and bathroom, as a moisturiser, to get rid of odours, to get rid of stains, to clean glass…it’s totally antibacterial, totally sterilizing and amazing for skin conditions such as acne, eczema, psoriasis, candida and more. Sound interesting? Let’s learn some more and find out how to get acid water into your life! Acid water is made using a water ionizer. In fact, acid water is the exact by-product of making alkaline water in the ionzier. How Do Water Ionizers Work? I want to keep this concise and straightforward. The overwhelming feedback that I get is that this is what you prefer – so here goes! So the water feeds from your tap directly into the ‘In’ tube on the back of the alkaline water ionizer. Once it is in there the water runs through the in-built alkaline water filter to remove as many of the impurities as possible (in case you’re wondering, these filters last about a year and cost about £40/$50 to replace each year). From there, the water then passes over the ‘plates’ in the ionizer. This is the really clever part of the ionizer. The water, once entering this section has a very specific low voltage electric current passed through it, which causes the soluble minerals in it to be attracted to either a positive ‘pole’ or a negative ‘pole’ depending on their own valiancy, or electrical energy signature. When this happens, the water separates into alkaline and acid streams. We drink the water from the alkaline water ionizer and we use the acid water externally, for skin, healing, plants and disinfecting. So this process (as seen in the diagram above) separates the water into H+ (acidic water) and OH- (alkaline water). This electrolysis is also responsible for giving you the huge antioxidant content in the alkaline water and for microclustering the water. Ionized acid water is, like I mentioned above, incredible because it is perfect for your skin, but also scientifically proven to be totally anti-bacterial and strong enough to be able to kill ecoli and staph – so you can use it all over your house to clean, in place of expensive and chemical-laden cleaners. You don’t need to know what all of these things mean, you just need to know that this is why acid water from your Chanson Ionizer does the job! Save Thousands of £ / $ Every Year! This is one of the best things about getting an ionizer and making acid water. When you buy a Chanson Ionizer on an you almost make all of the cost of the unit back through cost savings from the ionized acid water within the first year! This is especially true when you add in the benefits of the ALKALINE water too. —–> Plus, when you consider that the super-strong alkaline water completely removes pesticides and chemicals from fruits and vegetables, you can actually save money on some organic foods too when necessary. Ionized acidic water is great for the skin because the skin is naturally an acidic organ (this slight acidity of 5.5 pH helps our body fight off bacteria). People who regularly use acidic water to wash their bodies tend to have more youthful and vibrant looking complexion than those who use neutral hard water which disrupts the natural pH balance. In truth there are hundreds and hundreds of uses around the house and on your skin, with your pets, on the go and we would never be able to list them ALL, but here are the top benefits as highlighted by Chanson themselves. 1. Use to lessen the appearance of lines and wrinkles on the face. Actually speeds skin renewal process! 2. Use as a skin toner. 3. Use to lessen the appearance of age spots. 4. Use for dry skin patches or rough skin. 5. Carry a bottle around and use as a hand sanitizer. It will not dry the hands out. 6. Use to replace expensive skin moisturizers and creams. 7. Use as a hair conditioner. 8. Use for skin rashes or baby diaper rash. 9. Use to prevent shaving bumps. 10. Use as an aftershave. 11. Use for poison ivy and other plant rashes. 12. Try on skin for Eczema. Spritz three times a day and let air dry. 13. Try on skin for Psoriasis. 14. Try on skin for Rosacea. 15. Try on hair for dandruff. Spritz on after shampoo and let air dry. 16. Use for adult and teenage skin irritations of every type. Spritz on after washing and let air dry. 17. Use to lessen the appearance of scars. 18. Use to spray in shoes to disinfect and deodorize. 19. Use in place of deodorant. 20. Pour into bath water to soften skin. This will also help the bath water heat quickly, and make the tub easier to clean since it is difficult for scale to adhere to the tub. 21. Spritz on face for a refreshing pick me up. 22. Use as a soak for sore rough feet. 23. Try for relief of Athletes Foot. 24. Try for relief of Jockitch. 25. Try for female yeast conditions and other female issues. 26. Try for Toe Fungus. 27. Use for Ingrown toenails. 29. Rinse after swimming to remove any sea salts and/or chlorines on skin. 30. Add to a sick childs bathwater to kill germs and viruses. 31. Sunburns – may help to relieve inflammation and accelerate recovery. 32. Chapped hands – may help to prevent chapped hands as well as speed recovery from chapping. 33. Acne and blemishes – may help to keep skin clean and improve skin condition. 34. Insect bites – may help to provide relief from the itch or sting of mosquito and bug bites. 35. Bruises and sprains – accelerates recovery when applied topically. 1. Use as a mouthwash and gargle. 2. Use as a toothpaste. 3. Try for pink eye. 4. Try for ear infections. 5. Use for infected tooth or gums. 6. Use as a gargle for a sore throat. 7. Use as an enema. 8. Use to treat bad breath. 9. Try snorting or putting in droppers for nasal congestion and sinus relief. 10. Try spritzing on canker sores/cold sores. 2. Use for minor cuts and scrapes. 3. Use to promote faster healing of cuts and wounds. 4. Use to stop bleeding in minor cuts. 6. Use in doctor and dentist office for cleaning and antibacterial. 7. Use in clinical applications to sterilize surgical instruments. 8. Slows bleeding of minor cuts. Remember, acid water is entirely proven to be antibacterial, killing ecoli, staph and more within seconds! Click here for just a handful of the scientific articles that prove this. 1. Use to sanitize bathrooms and kitchen counters. 2. Use on cutting boards. 3. Use to spray directly in refrigerator for foul odors. 4. Use to spray on carpets and rubber bathtub mats. 5. Use as a streak free glass and mirror cleaner. 6. Use for cleaning wood floors (a light mist is all that is needed). 7. Use to clean dirt and grime all over the house (removes fingerprints from drywall), etc. 8. Use to sanitize the interior of your washer and dryer. 9. Use on household sponges to extend their life and prevent foul odors. 10. Use to spray into laundry baskets to kill mold and fungi. 11. Use to disinfect human and pet bedding. 12. Use for auto glass. 13. Use for chrome polishing. 14. Use to sanitize phones. 15. Use to sanitize computer keyboards (light spritz). 16. Use on doorknobs and handles to disinfect them. 18. Add a cupful to the washer to make whites brighter and towels fluffier. 19. Makes a great fabric, linen and bedding deodorizer. 20. Try as a fabric refresher instead of Febreeze by adding a few drops of the essential oil(s) of your choice. 21. Works as an air deodorizer. 22. Makes a great all-natural air freshener if you add a few drops of the essential oils of your choice. 23. Wash and clean dishes with it. 24. Removes coffee and tea stains left on cups. 25. Will remove tough stains from floor tiles and carpets. 26. Try for laundry stain removal and spot cleaning. 27. Wash cars and motorcycles for easy removal of tough stains and greases. 28. Soak pots and pans overnight. 29. Rinsing dishcloths with acidic water may help slow bacterial growth and odors. 30. Use to remove strong odors from your hands (such as garlic and onion). 32. Use to clean your eyeglasses. 33. Use it to water potted and outdoor plants and flowers to promote growth. 34. Use in hot tubs for quicker heating, easier cleaning, and no smell when reheating. 1. Use to kill bacteria on fruits and vegetables by using the mist or dipping. 2. Use in meat and dairy product facilities as a sterilizing and cleaning agent. 3. Use to boil eggs. Even when the eggs crack, the contents will stay inside, and it makes the shell easier to peel. 4. Use to cook beans. It will particularly help kidney beans and peas cook quickly, with their natural colors intact. 5. Use to rinse fish. It will tighten the bodies of some fish and reduce the odor. 1. Use in cat litter boxes to kill odours and bacteria. 2. Use on animals skin for any kind of skin issue like rash or dry skin. 3. Slows bleeding of minor cuts on animals. 4. Can be sprayed in your dog or cats mouth to reduce bad breath. 5. Wash animals with it to increase the shininess of their coat. 6. Safe for cleaning animal cages/tanks/terrariums. 7. Spray on fur to reduce odours. 1. Spray on ant trails to deter them. 2. Kills many types of spiders and insects. And to put your mind at ease – this water is absolutely 100% safe. Even the Hypochlorous acid is EPA approved for food and human contact as well as an FDA approved food grade sanitizer. 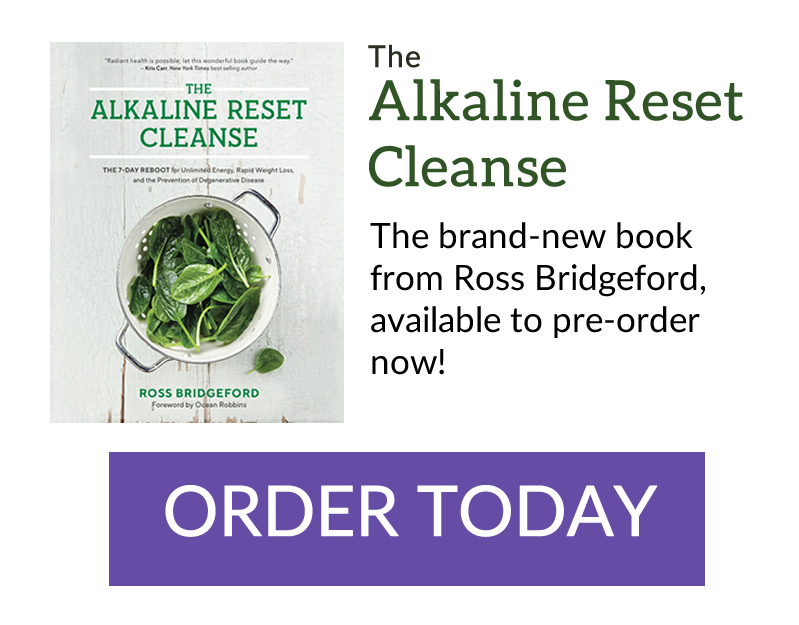 Click here to download my Guide to Alkaline Water, or if you want to get more information about the Chanson Ionizer click here! Enjoy, ask questions below or let me know of YOUR benefits of acid water! Doesn’t it kill the good bacteria too? Maybe that’s why the guy below got warts on his face. Nobody is suggesting drinking it. Is 2.5 water good for the skin to treat acne ?Does it help aging skin? how long does the acid water properties remain effective? does the acid water properties fade away in time like how the alkaline water properties from an ionizer do over a few days? Is there any purpose to drink it? Also how do I put on my skin to help with fine lines? I have 0 DCIS breast cancer in my left six o’clock breast duct. Since l have been using alkaline water the size went from 2.7 cm to 2.6 cm. I have not had any conventional treatment at this point nor do l want too. My overall general chemistry is good for a fit 49 year old women. I get check ever three months. It’s been 20 months now. You seem to have great knowledge on waters and the benefits. I bought a ionizer water machine and it has both systems you talked about. Do you have any more healthy helpful tips l could do? Thank you for your awesome knowledge. Hope you are doing much better! My husband drank akaline water while going through Chemo, he needed stem cell and life expectancy was unknown with no cure for his cancer only maintainable with chemo medication regiment but we refused anything else that would cause more harm to his body , so lots and lots of lemongrass stalk tea, the leaves that usually get discarded, we boil pots and pots after cleaning it and into a tea, hot of cold it doesn’t matter he drank it all day for a month or two, and 5 years later, the cancer cells are so low it’s almost not detectable. I’ve used acid water before (2.5ph) and never had a negative outcome – I’ve only used it on my face. How did you source your water? I’m sorry that happened to you….what did you practitioner say? I guess it would depend on the source of the acidic solution. 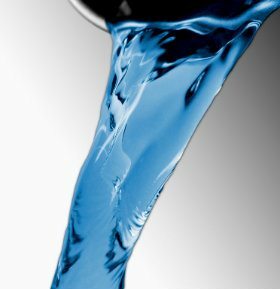 Acidic water produced by a water ionizer may be different to what a practitioner would prescribe? « How to Make Water Delicious!